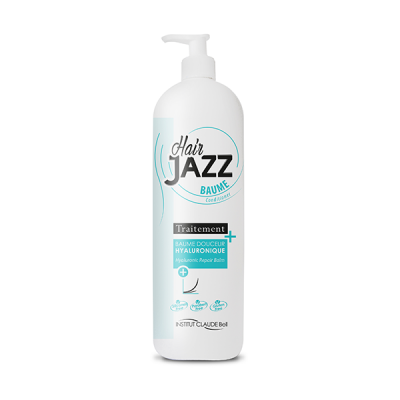 HAIR JAZZ was invented to promote healthy hair growth. New generation HAIR JAZZ Hyaluronic Repair Conditioner is enriched with numerous natural oils and Hyaluronic acid which is famous for its superpower hydrating abilities. Hyaluronic acid molecules retain up to 500 times more moisture what makes hair healthy, soft and prevents breakage. Argan oil – used for treating extremely dry hair. It restores the sturcture of brittle hair and makes it shiny. After shampooing apply conditioner on your entire hair. Let the conditioner sit for 1-2 minutes and then rinse with warm water.